Mark is a technician and mentor of newer production staff at SERVPRO of Rutherford County and SERVPRO of Percy Priest/Hickory Hollow. If Mark is on your job site, you can expect things to be done right. He is always ready to assist with any Water Damage, Fire Damage, or Mold Remediation projects. 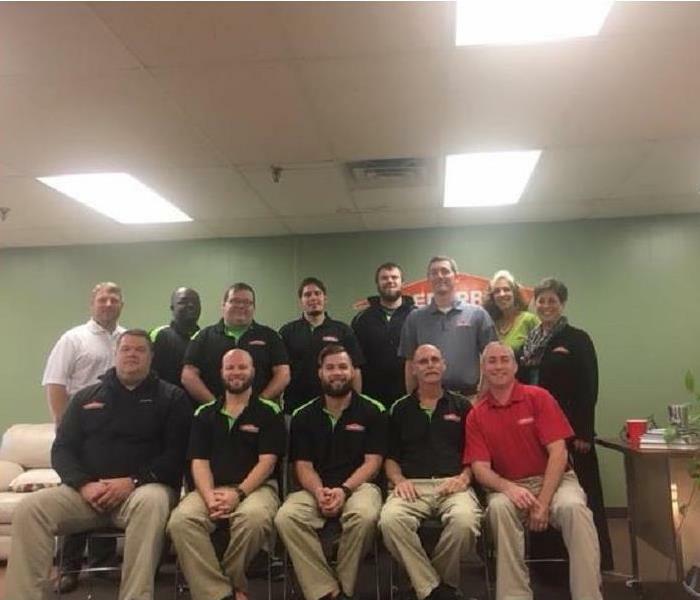 David Milford is the Production Manager in training at SERVPRO of Rutherford County and SERVPRO of Percy Priest/Hickory Hollow. David has extensive knowledge in Mold and Water Restoration. He has several Certifications from the Institute of Inspection Cleaning and Restoration (IICRC) If David is on your next Water Damage, Fire Damage, or Mold Remediation project you can expect things to be done right. Kody Bach is a Crew Chief in training at SERVPRO of Rutherford County and SERVPRO of Percy Priest/Hickory Hollow. Kody is a machine when it comes to hard work and quality demo. If this technician is on your Water Damage, Fire Damage, or Mold Remediation project you can expect an efficient job with superior customer satisfaction. Brandon is a technician at SERVPRO of Rutherford County and SERVPRO of Percy Priest/Hickory Hollow. Brandon’s background and specialty are in crawlspaces remediation. If this technician is on your Water Damage, Fire Damage, or Mold Remediation project you can expect a through inspection of your crawlspace and high-quality work. Juan is a crew chief in training at SERVPRO of Rutherford County and SERVPRO of Percy Priest/Hickory Hollow. Juan has completed all of SERVPRO’s Employee Certification training, and is poised to deliver high quality Water Damage, Fire Damage, or Mold Remediation work. If Juan is on your next project you can expect high quality work, and superior customer satisfaction. James is a technician at SERVPRO of Rutherford County and SERVPRO of Percy Priest/Hickory Hollow. James is another high energy technician that specializes in quality demo and clean work. If James is on your Water Damage, Fire Damage, or Mold Remediation project. You can expect nothing but the best. Should you keep your restoration documentation?